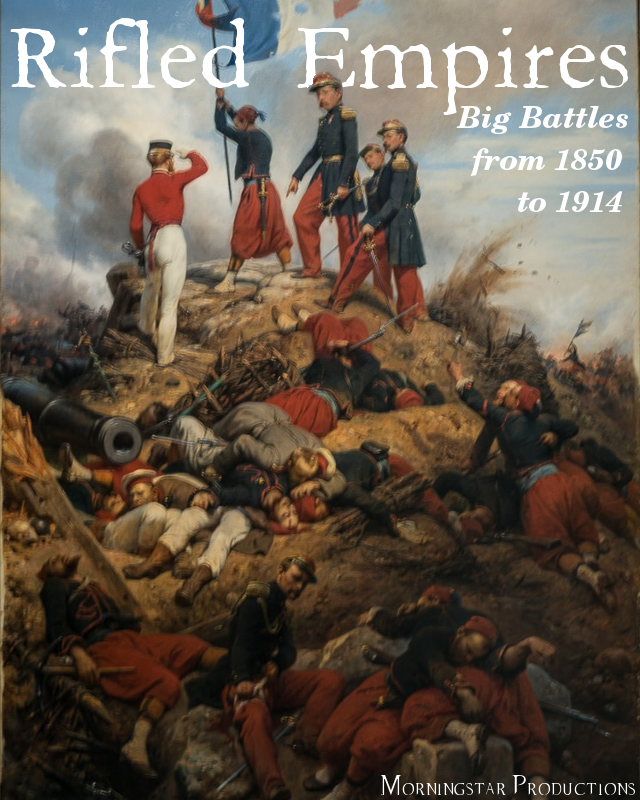 Morningstar Productions: Rifled Empires is a wargame for those megalomaniacs who want to refight the biggest battles of the nineteenth century – now Solferino, Gettysburg and Mukden are all within your grasp! 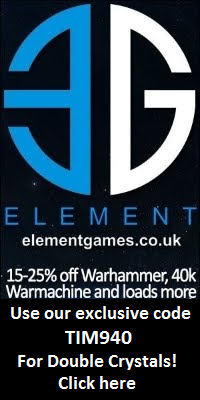 The author’s group have played battles of up to 12 divisions in 2 hours. 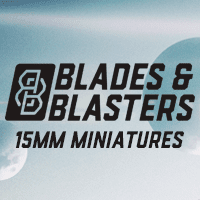 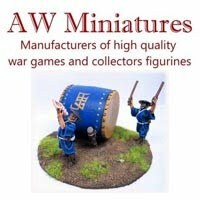 Since the basic unit of measurement is the venerable “base width”, representing about 500 yards, any scale of figure can be used, from 2mm brigades at 1:1 to single-based 42mm or 54mm figures for that old-school look. From the trenches of the Crimea to green fields of France, Rifled Empires lets players play the biggest battles between the greatest powers of the world.